We are having our annual "Race for Justice" on Saturday, August 5, 2017 at Glen Miller Park. Start time is at 8:00am on the east side of the pond. This is a family friendly event with a meandering route through the shaded route of Glen Miller. It can be a 5K walk or a 5k run. Supporting our event lets us continue helping the area's needy with free legal services. Wouldn't it be easier if in every situation where there's only one option, we just filled in that option for you? We think so, and that's what we've done. Starting right now, when you go through the e-filing screens, in any place where there's only one possible answer, we've just filled that in for you. This will affect you most if you're a solo practice with one attorney, one service contact and one payment method. However, even larger firms will find that their work is streamlined. For instance, when you are filing a new case, and adding the last required party, the role of that party will be pre-selected for you. These are minor improvements, but since you use this system for your work every day, we believe you'll appreciate the attention to little details that add up over time. Did we miss anything? Let us know if you come across any other situation where we can eliminate repetitive work. That's what computers are for! We're excited to announce the addition of Nikki Baldwin and her staff at the Boone County Recorder's Office to the Doxpop Family! 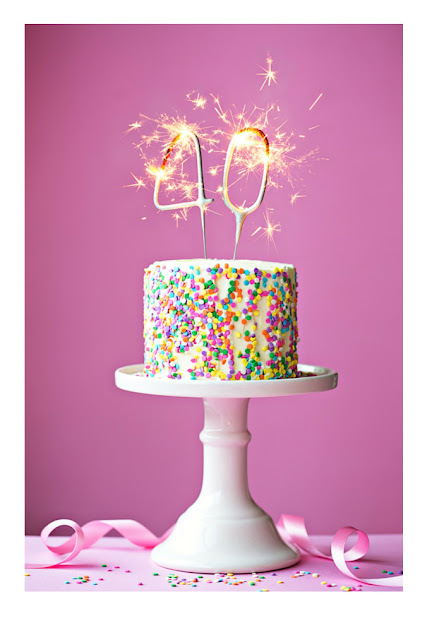 Boone County will be our 40th Recorder's Office to join, which we think is pretty spectacular. 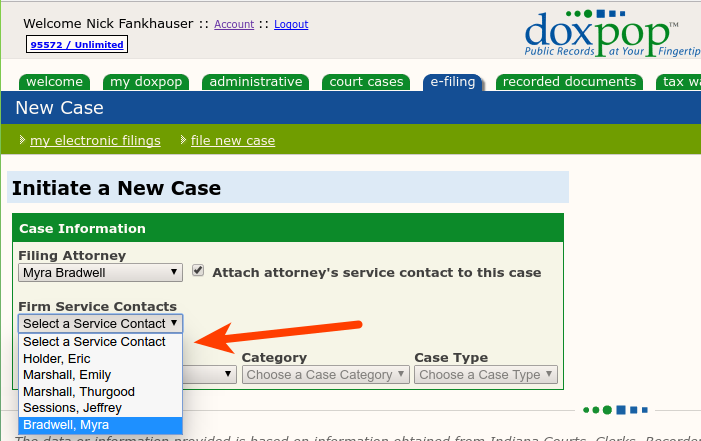 The Boone County Recorder's Office has been transitioning to a new, local software package that allows us to add them to the Doxpop Public Access System. Having now completed that technical conversion, they are ready to increase their public access offerings by making these land records available 24/7. Images and a searchable index is available for all documents filed since January 1996, with additional Deed records back to January 1993. The Recorder's Office is hoping to scan and digitize many more historical documents, so be on the lookout for more data to be added! New feature: Automatically assign your service contact to a new case. 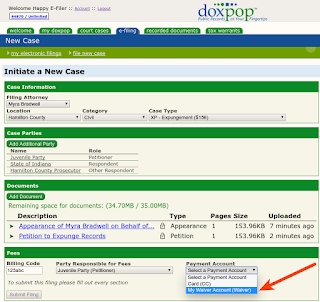 Doxpop just added a new feature to our system for folks e-filing new cases. You can select a service contact from your firm to be attached to the case as soon as it is accepted by the clerk. 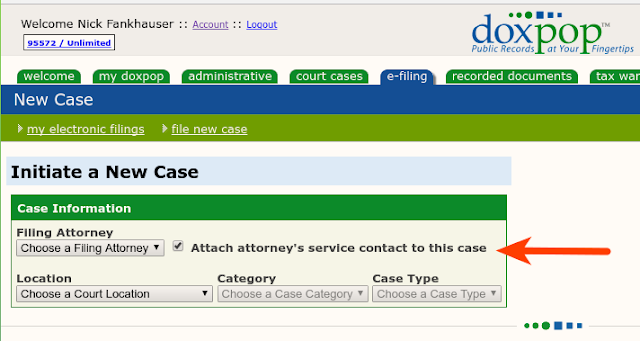 When the case is accepted and case number is assigned, we will automatically attach this contact to the case for you. The first few times that you use this feature, you will have to select a contact, but as time goes on, our system will learn from you, and instead of having to select a contact, the menu will default to your most common choice. Give us a call (866-369-7671) or email (support@doxpop.com) if you have any questions! Dearborn and Ohio County Courts move to Odyssey. 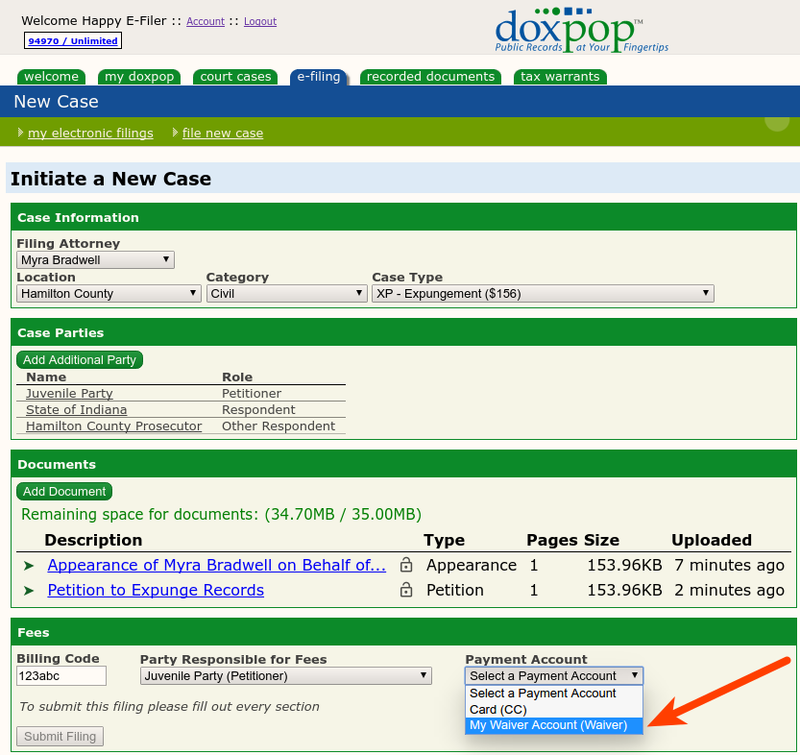 Access to their court records through Doxpop uninterrupted. Over the weekend of July 15th/16th, the Dearborn and Ohio County Courts converted to the Odyssey case tracking system, thus moving their data storage and administration to Indianapolis. When you look at our "County Details Page" for Dearborn or Ohio Counties you will find two entries for each court until the merge is complete. Two things have changed about our Tax Warrant system this weekend. Previously, we tried to do some of the work for you by identifying the second situation and make your searches in LastName, FirstName format also return the FirstName LastName warrants. The problem is that because there are so many creative company names, we couldn't do a complete job of separating personal names from company names. We decided we were better off not providing an incomplete solution, and instead we are just making sure you are aware that you should check for both versions. If you want us to do some of the work for you, the "super search" is the right approach. Enter the complete names or words you are looking for when you use this type of search. It checks for the names/words you enter in any order and checks for nicknames and synonyms. This is probably the best search method for non-professionals. If you are a more sophisticated user, and are used to the odd ways the Department of Revenue indexes taxpayer names, you're probably better off using the regular search. This search method allows you to use wildcards and always searches for the terms in exactly the place you specify. There will be no surprises, but you have to do a little more work. This is the search method most title searchers will want to use, and it is the same type of search long-time Doxpop users are used to. The background is that we buy a regular data feed from the State Court, and it is a mirror of everything they put on their "InCite" system for tax warrants. However, after releasing our database that combines InCite data with other sources, we found that the InCite data we were supplied with was incomplete. At first, we thought it was just a few warrants. After obtaining corrected information from the State and doing careful analysis, we now know it affected 0.1% of the warrants. That's not a huge percentage, but it means that some of our users got incomplete results from our system. First, the missing warrants have all been added to our system, so the database is complete now. Second, we log every search that happens on our system. We are re-running every search done on our system against a small database populated with the missing warrants to see who got incomplete results. During the coming two weeks, we will be emailing anyone who got an incomplete result to notify you of the details. If you don't hear from us this week or next you will know your searches were unaffected. As always, please contact us with questions at 866-369-7671 or support@doxpop.com. We love to hear from you! Allen County Sheriff requires Notice of Acceptance to be included for civil process. We have just learned that the Allen County Sheriff is requiring that the emailed Notice of Acceptance be attached to papers to be served through Sheriff's Civil Process. This is the email with a subject line that begins "Filing Accepted..."
We previously advised (in this blog post) that you should attach only the "Notice of Electronic Filing" that shows the fees selected during your initial filing to paperwork for Sheriff's offices. As far as we know, the Allen County Sheriff is the only one currently asking for the Notice of Acceptance. However, because it is simple to provide both and easier to remember a consistent rule, we are now suggesting that you provide both the "Notice of Electronic Filing" and "Filing Accepted" emails to the Sheriff in all counties. When (and how) to use a waiver account for filing fees. 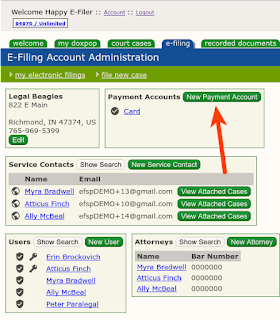 The e-filing system allows you to pay filing fees either through a credit card or a waiver account. You probably already have a credit card on file, but may not have a waiver account set up yet. You represent a government agency that is exempt from filing fees. One example we've come across is an attorney that represents several school districts and regularly has to file small claims cases for textbook fees. You are filing a case type that usually requires a fee, but due to your client's circumstance, no fee is required. For example, most expungement (XP) cases require a filing fee, but if your client is petitioning for the removal of a juvenile arrest record that did not result in a conviction under IC 35-38-9-1, the court may not charge a filing fee. The e-filing system will assess fees based on the more common use of this case type, and to avoid being charged, you should file using a waiver account. Click on the "e-filing" tab and then select "E-Filing Account Administration" from the actions listed on the left side of the page. Give the account any name you choose, then select "Waiver" from the Account Type drop-down menu and save.